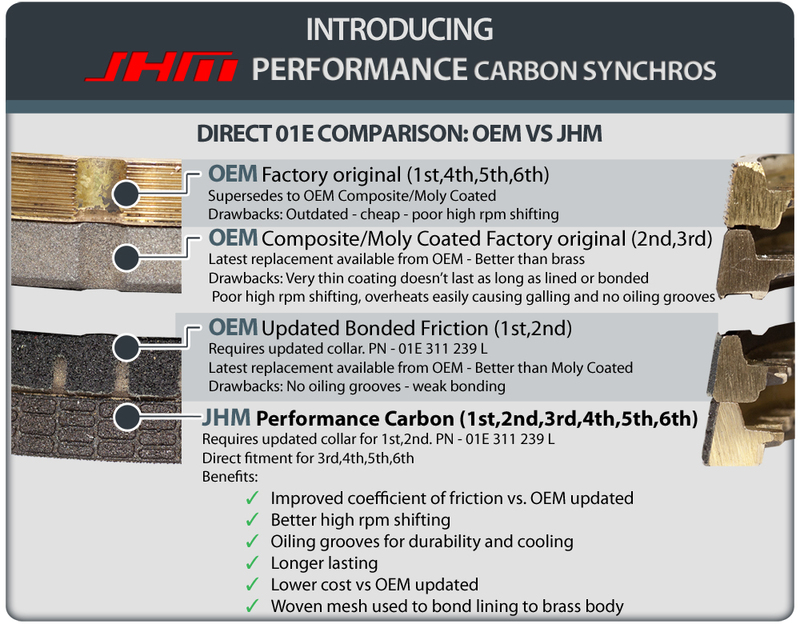 Introducing the JHM Performance Carbon Synchros!!! We now offer our 01E JHM Performance Carbon Synchros separately from our Full Rebuild kit for a MUCH lower price than OEM synchros while providing better performance. Fits all 01E transmissions with the EDU (B5 S4), FZY, DSY, FZV, FDP(B5 RS4), FTU, FTG and FZW trans codes. NOTE: The B6 A4 with the 3.0l V6 in 2002 and 2003 only have the 01E transmission and use this kit. All 04 and up 1.8t and 3.0l A4s have the 01x-02x transmission and require a different kit. 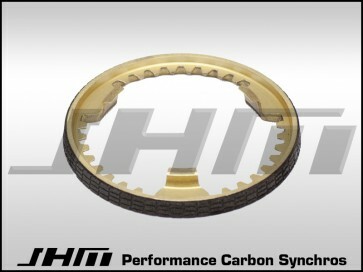 Will this fix my "locked up" 1st and 2nd gear? Any of our kits that contain the JHM 1-2 shift collar and our synchros will solve this issue. However, it is best to do a complete rebuild of your transmission for maximum longevity of your transmission.